The first thing to realise is that, when you wonder how much something will cost, you’re actually wondering how many resources and how many people doing how much work it will take to do that something. That’s all that really matters. The problem is that we have a sucky economic system such that even if we do have more than enough people and resources to do the job, the monetary cost of it could be so high that you can’t get the job done without creating financial problems left and right. This should be a hint that the problem, if it exists, lies in our crappy economic system, not in rejuvenation itself or whatever other thing we may create. Apart from the obvious fact that other hysterically expensive endeavours (such as space missions) are pulled off despite their costs, we must take into account that desperate circumstances call for desperate measures. We don’t need to tear apart our economic system and replace it with another before we create rejuvenation, and neither would we if faced with another health crisis (such as a pandemic) or a planetary crisis, but we need to get the job done despite its costs and the consequences they may have. We can’t give up on rejuvenation on the grounds that it may be too expensive to create, just like we wouldn’t in the case of an existential risk. Can you imagine that? There’s a huge asteroid on a collision course with Earth, and our only hope is a spectacularly expensive space mission to destroy it before it’s too late. Just who in their right mind would step up and say: ‘Nah, too expensive. Let’s not do it.’ What would we do with the money we saved, keep it for a rainy day? I’m not sure it would help much—in the circumstances, it would probably rain fire for a while. Like it or not, ageing is an emergency just as much as a potential asteroid impact, or climate change, or a lethal pandemic. I do agree that ageing is different from an asteroid impact, for example, in that it doesn’t have the potential to wipe nearly the entire human race off the planet at once, but nonetheless everybody has ageing, everybody will develop debilitating age-related diseases that will not only eventually lead to death, but cause an ever-growing number of people to suffer and become disabled as well. The problem of an ageing population is quite real and it is going to get worse with time. Cost what it will, rejuvenation needs to be created. Humanitarian reasons aside, do not forget that a population that never ages is a population that has zero geriatric expenses and a population that can always work, thus with little to no need for pensions. Most, if not all, of the money spent to create rejuvenation would likely go out through the door and come back in through the window, in the form of tons of savings and extra taxpayers creating wealth for longer. At any rate, you may be wondering how the heck we’re going to finance the creation of rejuvenation therapies, should they indeed be very expensive to create. There are different possible ways. At the moment, research is funded primarily through philanthropic efforts such as Michael Greve’s 10-million-dollar pledge to SENS Research Foundation and other rejuvenation-focused organisations, or Jason Hope’s and Peter Thiel’s contributions. Super-billionaires are not the only ones who can help; the average Joe can as well: Donations to SENS, Methuselah, or LEAF, big or small, do make a difference. 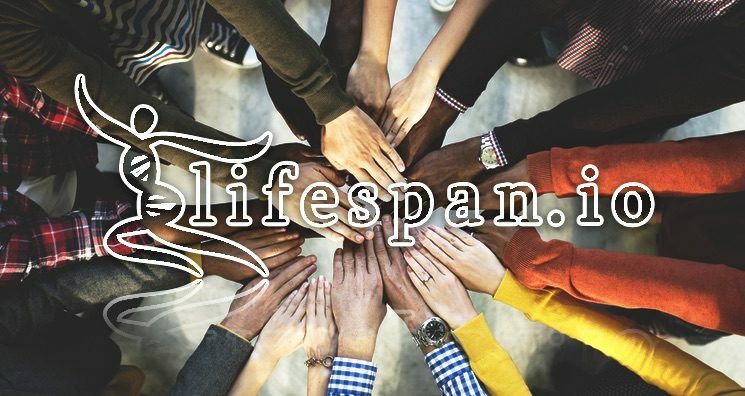 Thanks to the ever-increasing support of the life extension community, LEAF alone has managed to collect around 200.000$ in a year and a half, allowing important research projects to get done. Another option that might become reality once the cause becomes more popular is financing anti-ageing research through taxation. I know—people generally freak out at the thought of being taxed more, but we’re not talking a billion each here. A tax set up so that each taxpayer contributed 1$ a year could easily amount to dozens of millions of dollars a year poured into anti-ageing research, and that’d go a long way in pushing progress forward. That kind of contribution would hardly bankrupt individual taxpayers, and it would help putting an end to the misery of old age.